XXXTentacion is finally free from jail and already he is grabbing the headlines with his latest stunt disrespecting Drake‘s mother. The Florida rapper has been doing a bunch of interviews since his release from jail yesterday. In one of his recent interviews, he called Drake a b*tch for seemingly jacking his flow for one of his new songs off More Life, which started their beef. Drizzy has been ignoring him for the most part but it seems like XXXTentacion will stop at nothing to get the Toronto rapper’s attention. 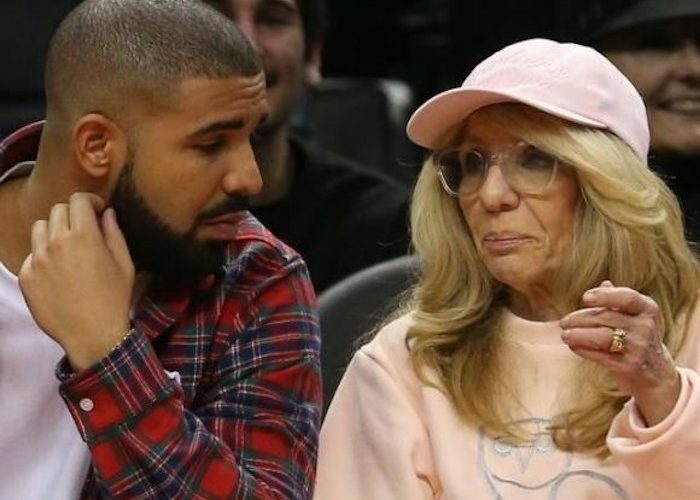 “Drake mom kinda cute, she could get it,” he tweeted on Thursday. We are sure that the 6 God will not respond to this tweet, but it will sure get under his skin as it would anyone else. Some of XXXTentacion’s fans on Twitter are saying that he is going too far with this beef by disrespecting Drake’s mom, while some fans are joining him in trolling the 6 God. Nevertheless, things will likely get worst between these two artists from now on. XXXTentacion is enjoying his new freedom and Drake is selling records like never before, so both of these emcees are at a great point in their careers. The only difference here is that Drizzy is full on mainstream dominating every chart and breaking all kinds of records and is filthy rich. X is still a bit of an underground sensation, he currently has a hit record, but is still very much hungry, especially since he is facing trial for multiple felony charges. Should these two rappers just have a sit-down and chop things up and shake hands and move on? I think they should because there will be no winners in this beef. Drake will not give this feud any attention and if XXXTentacion continues on this path he will run into some problems with major labels and distributions who are working with Drizzy.